The patella is the bone we know as the knee cap. A groove in the end of the femur allows the patella to glide up and down when the knee joint is bent back and forth. In so doing, the patella guides the action of the quadriceps muscle in the lower leg. 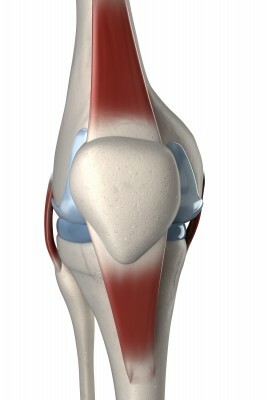 The patella also protects the knee joint. Looking at the lower front portion of the femur (the thigh bone) in a normal dog, you will notice two bony ridges that form a fairly deep groove in which the patella is supposed to slide up and down. These structures limit the patella’s movement to one restricted place, and in so doing, control the activity of the quadriceps muscle. The entire system is constantly lubricated by joint fluid. It works so that there is total freedom of motion between the structures. Luxating patella is the result of a malalignment of elements in the hind limb and/or shallow trochlear groove (the groove in which the knee cap sits). Repeat luxation damages the cartilage in the trochlear groove and the frequency of luxation may increase, this can causing inflammation and arthritic changes.